You really don’t want to mess around with worn down tires. 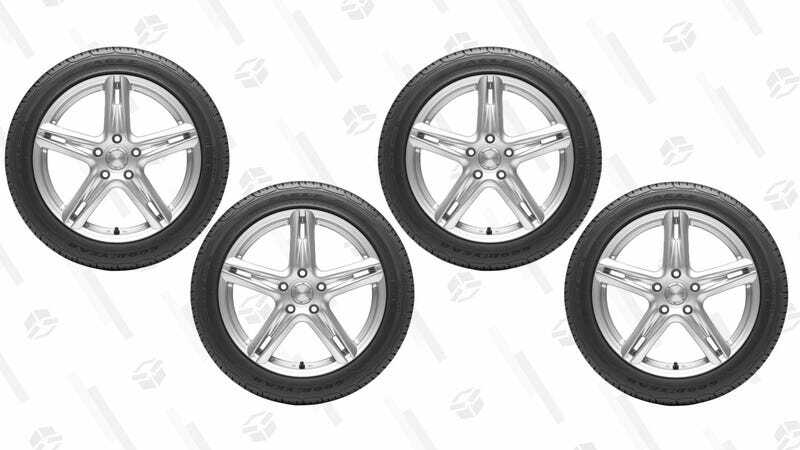 If you’ve been putting off replacing them for far too long, Walmart’s currently taking $100 off select Goodyear four-tire bundles, and $60 off select four-tire Pirelli bundles. Our resident tire expert, Corey, says that the Goodyears are generally your best bet, especially with the larger discount, but $60 is a solid deal on the cheaper Pirelli four-packs too. Bundles are priced as marked, and you can use this tool to make sure you’re buying the right size. Most tire deals we see come in the form of rebates, which is fine, but give me a cash discount any day of the week.